After Anabelle: SWOS 2018 Weekly Roundup - One - Animals. It is no secret how much I love the Six Weeks of Summer (SWOS)! I feel in a truly privileged position to be able to be home with the boys each school holiday, but especially this school holiday. For all of the things I miss with them during the year due to work and the long working days I pull so they barely see me any Wednesday, Thursday or Friday; this holiday always feels like the time to make up for it! Also this holiday is long. Long and sometimes hard going. Six weeks of lots of doing it solo needs some momentum to keep it going and everyone entertained. It isn't about being showy of trying to be the perfect Mum (Goodness knows that in amongst this week of packed out activities and fun things to do we have also already navigated epic tantrums and tears, strops from me, strops from them, the cross and shouty moments with all those feeling fed up of them already moments thrown in too. Don't be too fooled by the rose-tinted instagram!) But our SWOS? It is just the way we have found summer has worked for us. So for the third year we've planned out our SWOS (and I've every intention to keep this up until they're moody teenagers who don't want to join in anymore! ), with a weekly theme and lots of arts, crafts, music, stories, films, activities and day trips planned around it. (Got to love a bit of pinterest!) So we have something on the cards for every day, whether it be just at home or out for the day, but that isn't to say we won't go off plan too. Already twice this week Xander has come up with a better idea than I had! Haha! Apart from the last two days the start of the summer holidays has been a world away from last year when I had renamed July to Julvember! Properly scorching! We're going through a bottle of sun-cream a week at the moment and until yesterday I couldn't remember the last time the boys had worn trousers or a jumper. 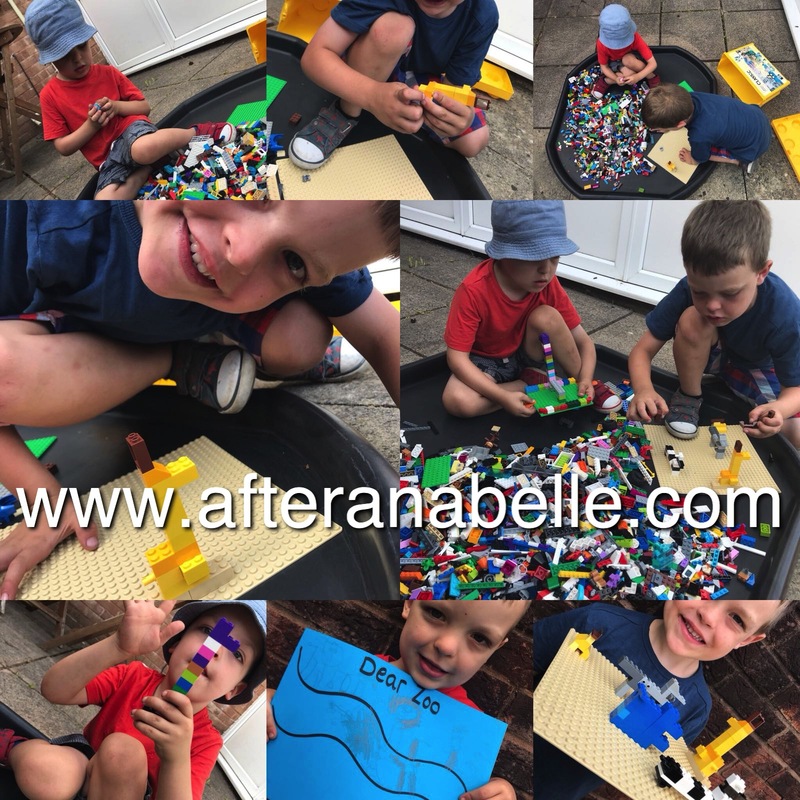 It has made for a lovely start to the summer holidays and if the rain could just stick to the odd day here or there or overnight that would be great! So "Animals" Week. Here is the nutshell. Well Monday was a bit of a tenuous link because we were still at Paulton's Park for Lucas's birthday celebrations. We saw some extinct animals models in the form of the Lost Kingdom and we popped into the newly opened Little Africa in the park too. 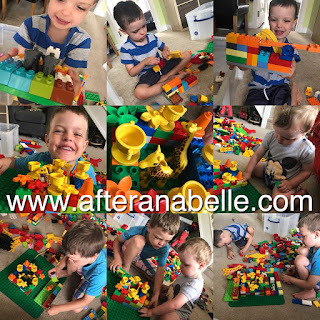 We built a Duplo Zoo. Created by the boys themselves. Zachy decided that the zoo needed a park - so he included a see-saw, slide and a roundabout! They took turns to make areas for different animals to live; Xander concentrated on the giraffe house and then Zac built one for the elephants. Sharing out different responsibilities and displaying excellent team work and collaboration too. They were a little less patient with Luc's attempts though - pesky baby mostly trying to take the zoo apart before they had finished it! We listened to Carnival of the Animals too and what I found really interesting was that when I asked the boys what animal they thought the opening of the music was about, Zac instantly said Lion! Which it is indeed! 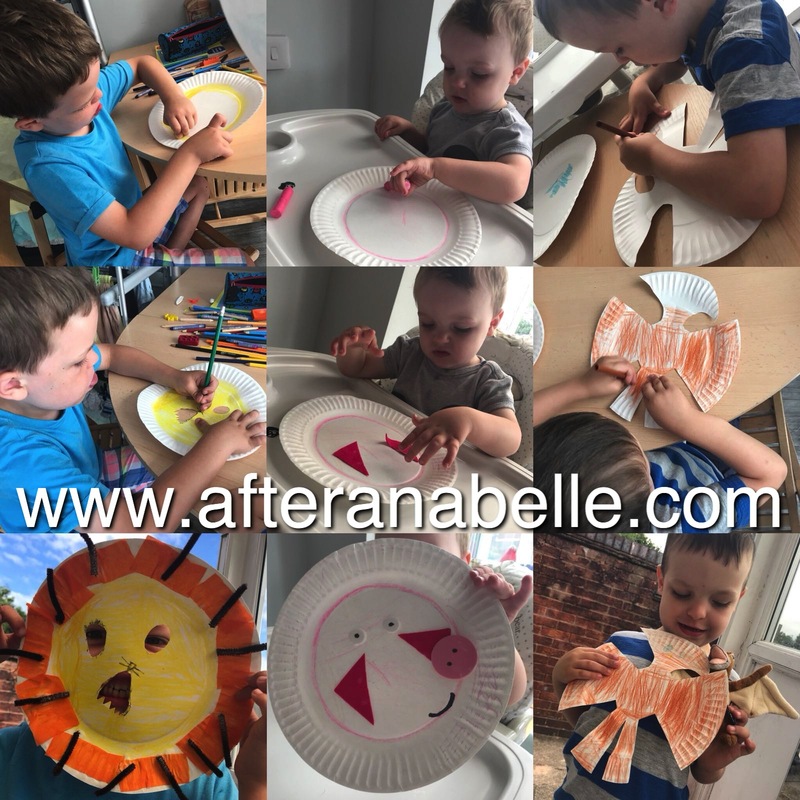 Tuesday afternoon the boys made animal masks. Zac was adamant he was making a Pterodactyl after 'Dinosaur Land' the day before and coming home with a new pterodactyl teddy. 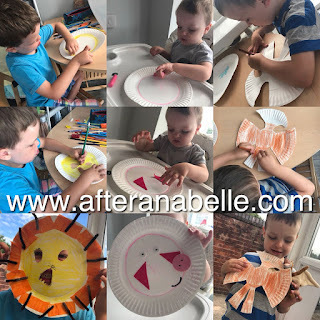 Xander made a Lion and Luc joined in with making a Pig. Wednesday is a big boy only day out again this year as we've decided Luc will keep going to Nursery through the holiday, a) we have to pay for it whether he is there or not and b) Lucas is quite the Mummy's boy and doesn't like sharing my attention with his brothers so it is nice to be able to focus on Xander and Zac a bit more one day a week! 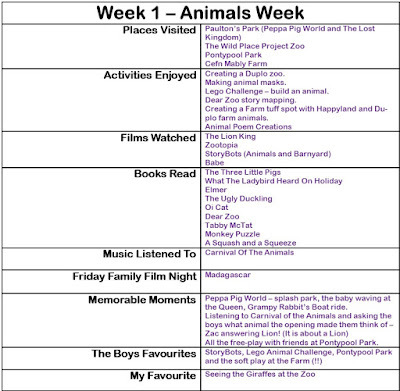 The boys were both very interested in the Lemur's on the walkthrough and my favourite was the giraffe. 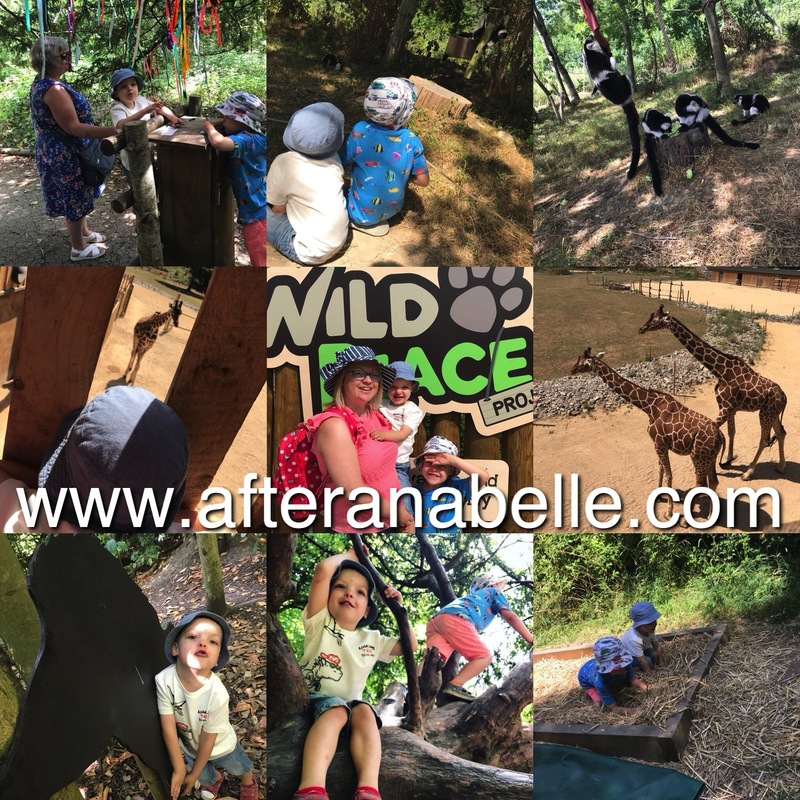 There was a good variety of animals for a small zoo, different wooded areas to explore, a big open field to play games on, activity trails to follow, lots of play areas around the site encouraging adventurous play and I really liked the 'Barefoot Walk' too! 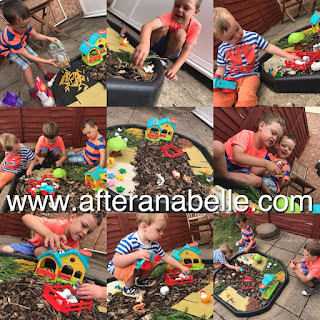 A super day spent at the park just chilling with friends - the kids running, collecting sticks and leaves and creating in masses of open space with the grown ups enjoying a sit down on picnic blankets! Bliss! Then a quick animal challenge before bed. Set by Xander who had a much better idea than me. 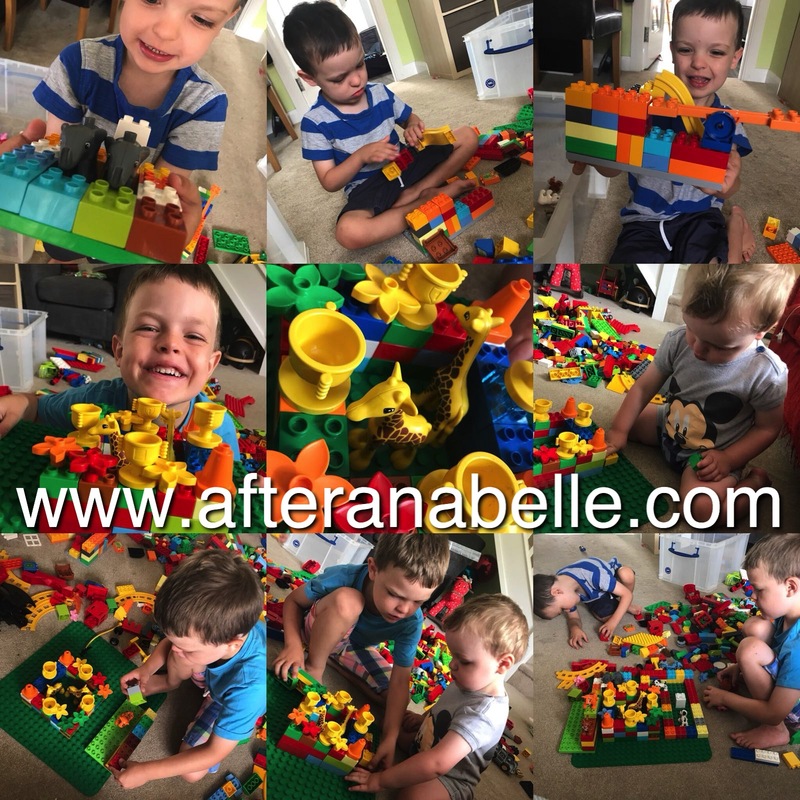 I was all set for them using the Lego to build the houses for the three little pigs, but Xander decided he would quite like to have a go at building lots of different animals with Lego. I particularly liked his giraffe! Great creativity. Then they wanted another challenge, so we read Dear Zoo and I got them to draw a story map of the book. 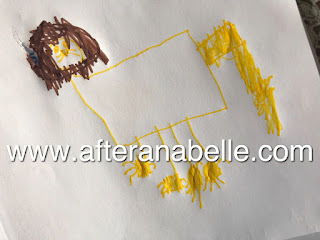 Zachary was particularly engaged with this and I loved his drawings of every animal from the story. 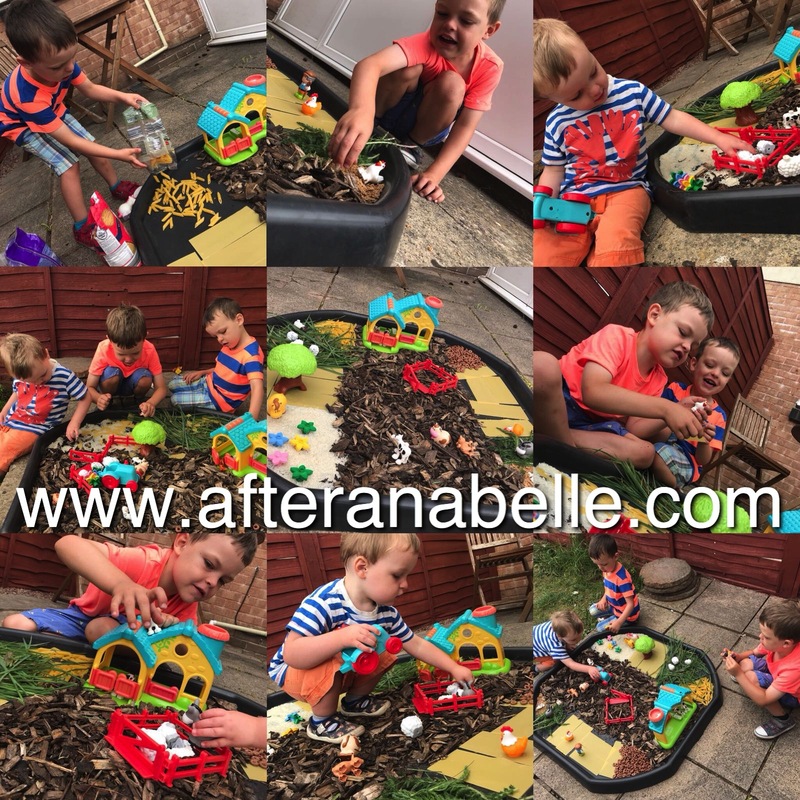 A day at home and making use of the Tuff Spot; making a farm using all our Happyland farm animals, Duplo animals and a variety of dry foods, woodchip and grass to create fields. 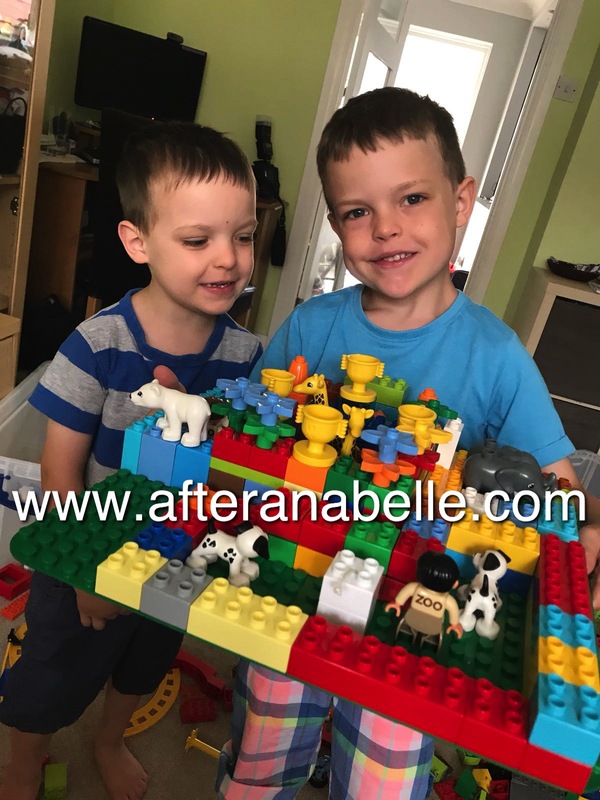 The boys enjoyed deciding where they were going to put everything, and then deciding what animals were going to live where (complete with a unicorn, because why wouldn't a unicorn live on a farm?!). Then the two big boys mostly played with the chickens, "pecking" at every food in site to make it break up into as many pieces as possible and eating just as much of it too! Haha! 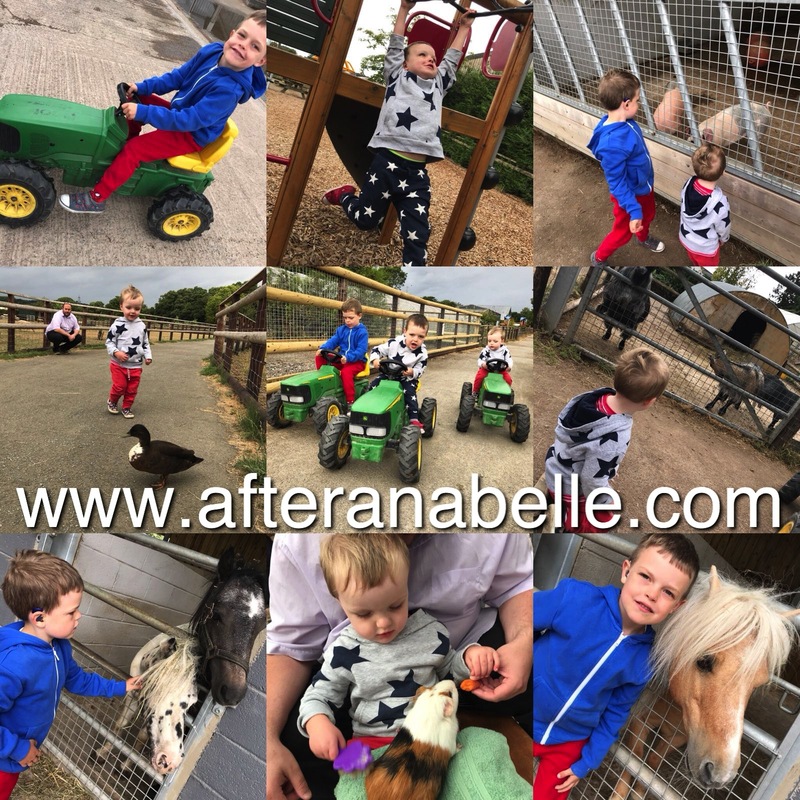 Lucas enjoyed moving the animals around the farm, putting the sheep into the pen and taking them out again, particularly enjoyed driving the tractor around and practicing all of his animal noises. I left them to it after a while and noticed when I came back quite a few of the zoo animals had moved into the farm as well. They had a great hour of play and I think it would have lasted them all the day had the rain not arrived. Fridays are going to Family Film Night through the holidays and this week we watched Madagascar and Zac went to bed singing "I like to move it move it". We'll gloss over the most horrendous visit to the shoe shop of my parenting experience so far (if I thought feral over-excited boys every time we go near a shoe shop was bad enough then two out of three throwing epic meltdown tantrums and both sat on my lap wailing while trying to get shoes fitted was something else!) and then we all recovered and spent the afternoon at the farm. We went to Cefn Mably Farm. It wasn't a visit where we utilised our time to the max and because of that it was an expensive afternoon out. But all the boys enjoyed the ride on tractors they could pedal around the entire farm so that made it a hit from the word go! Luc is quite suspicious of animals and doesn't like to get too close but he liked watching the goats, sheep and pigs from afar, was really brave with a guinea pig on his lap and followed a duck around until it decided he was getting too close and flew away from him! Sundays are mostly going to be our quieter days and today was especially quiet with the torrential rain showers! We went to church this morning and then after dinner we had a go at writing some acrostic poems - it turned out to be trickier than I thought! I asked them to think of their favourite animal. 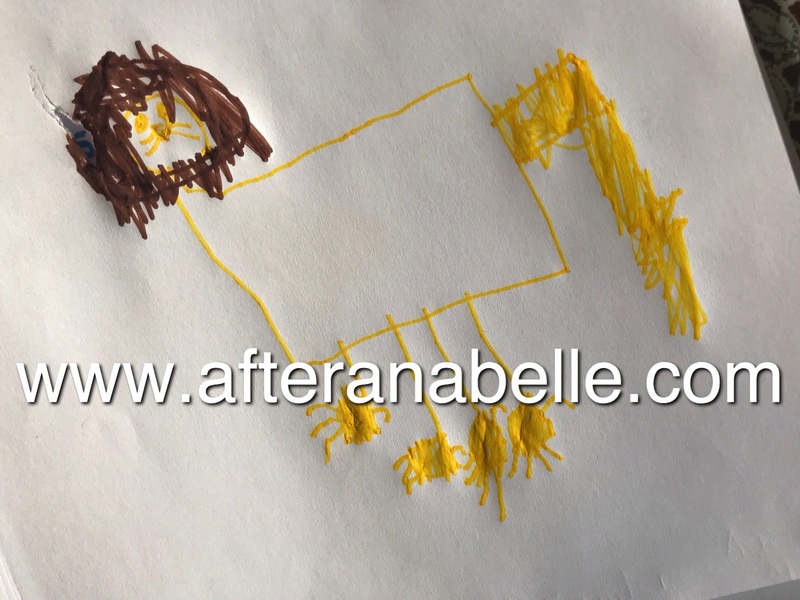 Both boys drew lovely pictures of a Lion (look at Zac's!) and Xander had a good go thinking of words for each letter of the word Lion. With some help from Daddy they came up with Large, Intimidating, Old and Wise and Nasty. 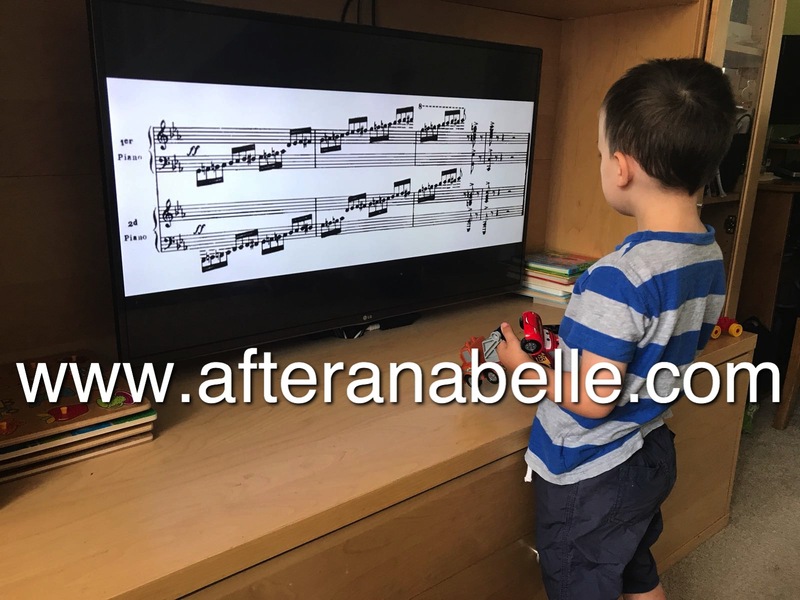 Maybe something to try again with them when they are older. Even I found thinking of words for Giraffe pretty hard! So that was Week 1 for SWOS 2018! Week 2 we are going to explore all things Boats!